Today, we’re gonna talk about how to make an eggwhite breakfast actually taste good. Because for real. Let’s just be honest, most lowfat- ish foods can be just plain b o r i n g.
Well today is your lucky duck day. 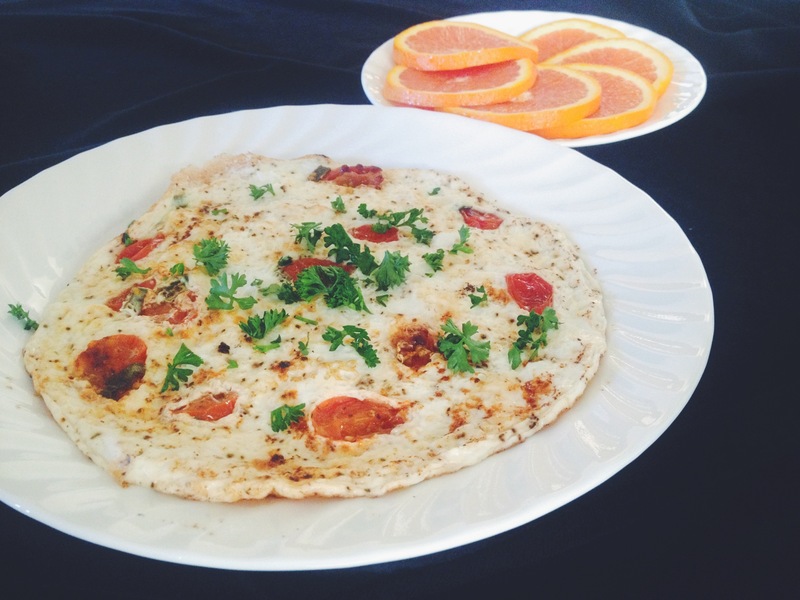 I present to you, Egg White Spectaculaaaah! Please try to get used to my frequently cheesy recipe titles. I like them. 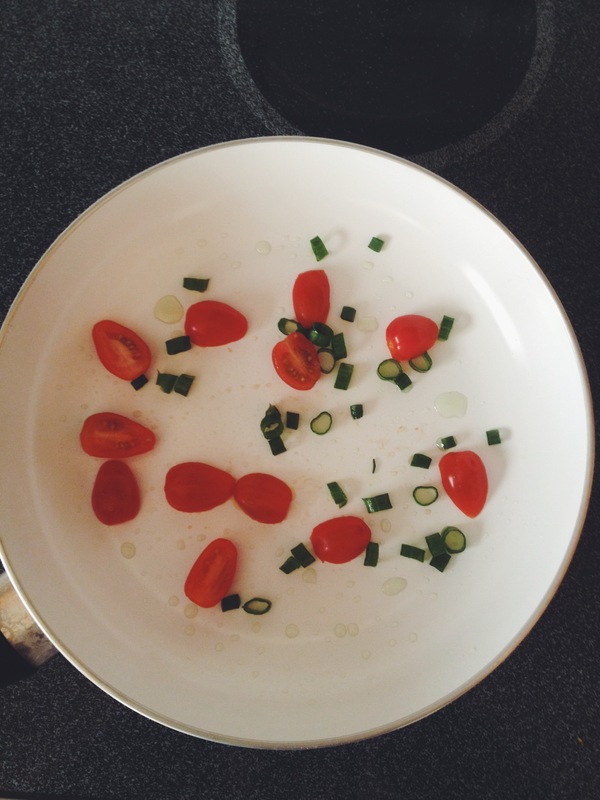 You’re going to start with a green onion, 8 cherry tomatoes and a medium saute pan. Use a little coconut oil in the pan. Chop the onion and slice the tomato. Saute it up for 5 min on medium heat. Whisk 4 egg whites with 1/4 tsp salt and 1/4 tsp pepper. Add it to the pan and lower your heat. Cover while it cooks for 4-5 min. Flip it and let it sit in the pan for an additional 30 seconds… ok, it’s ready! Chop parsley to sprinkle on top and crumble a generous pinch of feta cheese. It’d be a good decision. Success! I wish I could high five someone right now.